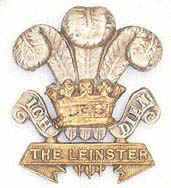 In September 1916 after the relief of Guillemont and Ginchy by the 16th Irish Division, the Guards Division, that included two battalions of Irish Guards, fought to capture the village of Lesbouefs. The Guards Memorial stands just south of what was the German front line of 1916 and commemorates the action of the 25 September 1916. This short movie clip records the commemoration in September 2006 by the Combined Irish Regiments Association. It was planned that armoured Tanks would lead the attack, but they were late arriving, so at zero hour the Guards led there attack without them. Without the planned support of armour, the Guards initial losses were severe with hundreds of men killed in action; eventually the support armour arrived, the Guards regrouped and took the objective alongside the men of 6 Division. This short video clip captures the spirit of those who attended the ceremony.